Any question about “How to write effective EU proposals”? 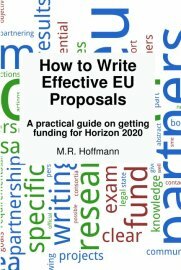 Do you want to know how to get started with Horizon 2020 and EU projects? I’d like to hear about the book, this website or other ideas about Horizon 2020. Feel free to contact me with your questions at “contact” at horizonbook dot eu or with the link below.